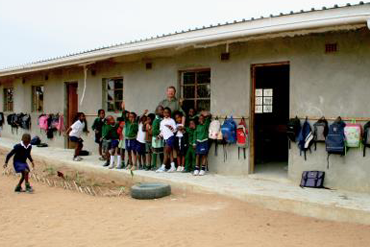 Situated in Hluhluwe, Kwa Zulu-Natal, Advent Hope School was founded by an inspirational lady called Thandi Masuku. Many pupils are orphans, from broken homes, abused or have been taken into care. HIV is prevalent in the area and a significant number of the children are affected. The Advent is not a Government run school and relies on donations from the local community and from some parents who can afford to pay a small fee. Much of the monthly costs come from donors and organisations. 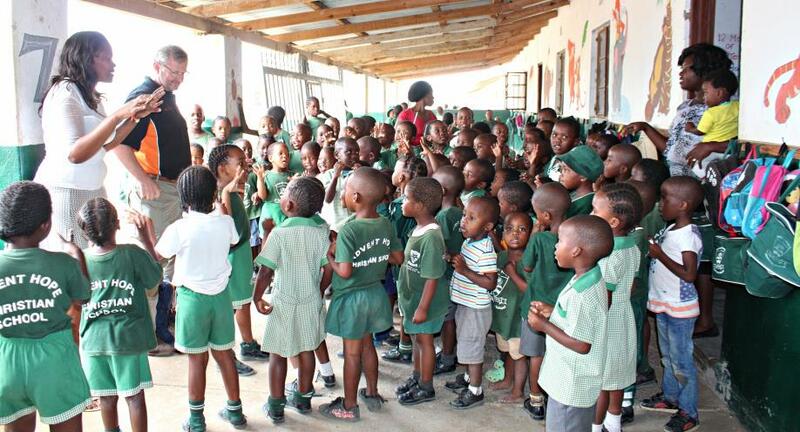 Today, Thandi oversees the education of 800+ children ranging from 5 to 14 years of age. 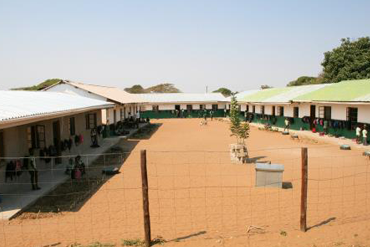 The school also provides a refuge house for a number orphaned pupils, as well as infant crèche classes. 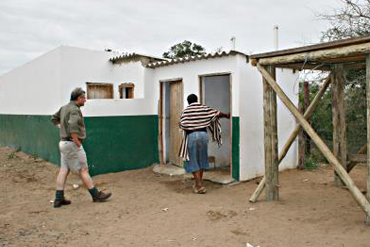 2007: PF funded a new toilet & shower block to cater for increasing pupil numbers. A large donation for the building of a new classroom was made in 2008 as the school expanded. 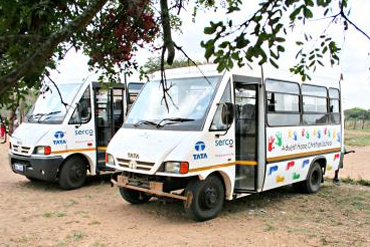 Costs of essential repairs to the school buses helped pupils get to school from as far as 30km away. 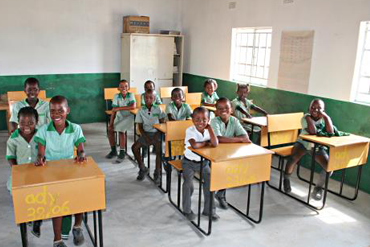 Desks, chairs and other classroom items were supplied in 2008, improving pupil’s learning environments. 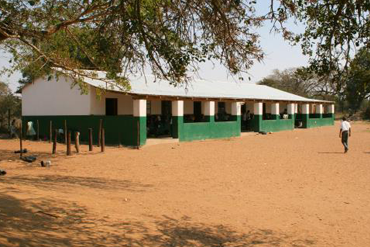 During 2009 a contribution to the roof and veranda of the infants’ classroom helped provide shade and protection. 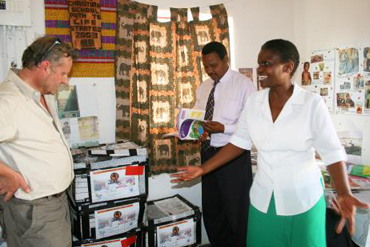 700 books were shipped out in 2009, donated by St Andrew’s Primary and Southdown Nursery School in Steyning, Sussex. 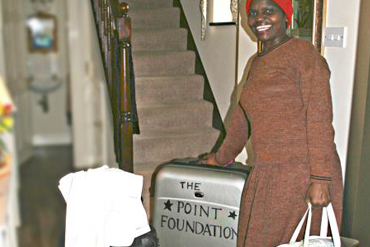 Head teacher Thandi, spent a week in the UK with the PF team in 2009, visiting local schools and sitting in on classes. 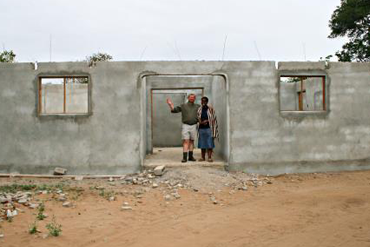 2010: PF funding helped complete a small dormitory house next to the school for socially orphaned pupils. 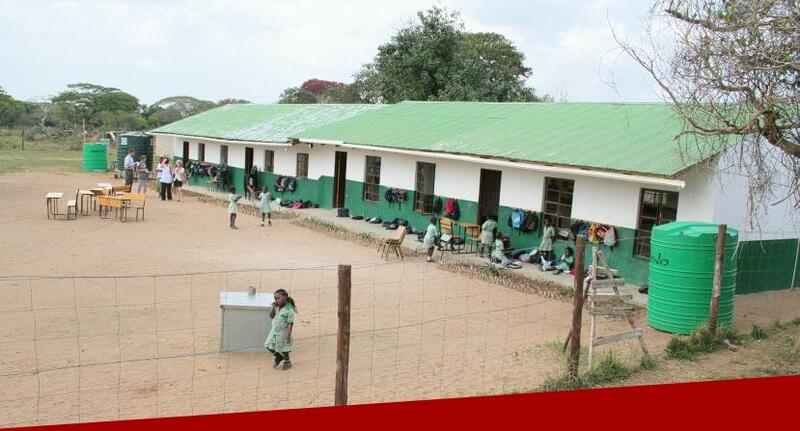 PF continues periodic support of Advent, helping with teachers’ wages, bills and graduation costs for the children & update visits were made in in 2012 & 2015.